Click here to go to the program download page! 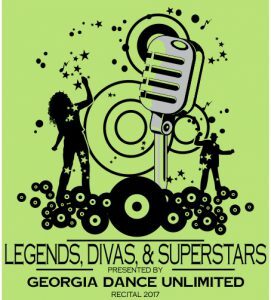 We are so excited about our 10th annual show… Legends, Divas and Superstars! Below you will find very important information regarding the recital, dress rehearsal, pictures, recital shirts, tickets and more! *Note – This is just the show you are in, NOT the order you will perform in that show. Programs for all shows will be provided online closer to performance dates.